Grilling can be an intimidating cooking method for novices. 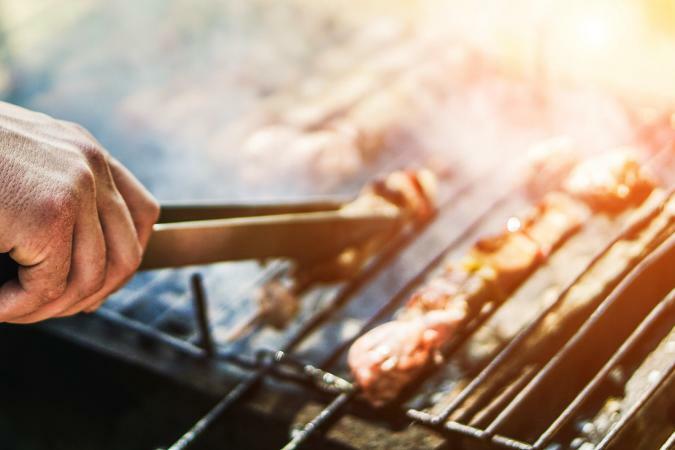 Additionally, even if you're a seasoned griller, knowing a few top tips from the experts can improve your grilling skills and in turn, how your meat or vegetables taste. Don't Waste the Crumbs lists marinating high on its list of grilling tips. Marinating not only tenderizes the meat of choice, but it provides extra flavor. For the best results, marinate a few hours before grilling and use about one to two cups of marinade for one and a half to two pounds of meat or vegetables. The marinade should cover the food being marinated. EatingWell recommends using an instant read thermometer to check if your meat is ready. An under-cooked chicken breast is one way to ruin a barbecue, and a good thermometer will also keep you from overcooking your food. Keep grilling food safety tips in mind when it comes to internal temperature recommendations. A top grilling tip on Steven Raichlen's "Top 10 Tips for Great Grilled Steak" is to turn your meat with tongs. Avoiding stabbing the meat. Steven recommends using long-handled, spring-loaded tongs about 14 to 16 inches in length to handle meat. The Food Network reports that one of Bobby Flay's top grilling tips is to select marbled steaks. When choosing steaks, marbling adds a nice fatty flavor and tenderness. A top tip on Grilling Companion's "10 Important Grilling Tips" is keeping your grill's grates clean. To do this, wipe the grates down with soap and water after each use. Your food will taste better, and your grates will last longer. Preheating the grill is at the top of almost every grilling tip list, including Bobby Flay's. Preheating for 10 to 20 minutes prior to grilling keeps the grill food safe and heats it up to evenly cook meat. When choosing vegetarian fare for grilling, EatingWell states to choose vegetables or vegetarian versions of meaty foods that are firm. This helps them hold up to slicing and grilling. It is best to slice them in thick pieces at least ¼ inch thick or larger so they won't slip through the grill grate. Some vegetables like bell peppers can be grilled whole and then sliced and peeled after they are cooked. Country Living ranks utilizing oil as one of the top tips when grilling. Rubbing the grill and meat with oil before grilling helps keep it lubricated and prevents the meat from sticking to the grill. When Forbes Magazine interviewed grillmasters about their most important techniques, they agreed that it is best practice to let meat rest for about five to 10 minutes once cooked. This allows the juices to distribute throughout the meat and improve the flavor. Many recommend covering the meat with foil to keep warm while resting. One of the top tips at Grilling Companion is to make sure you have enough fuel. You don't want to find yourself halfway through grilling and then learn you're out of fuel.